A collector's worst nightmare comes true. 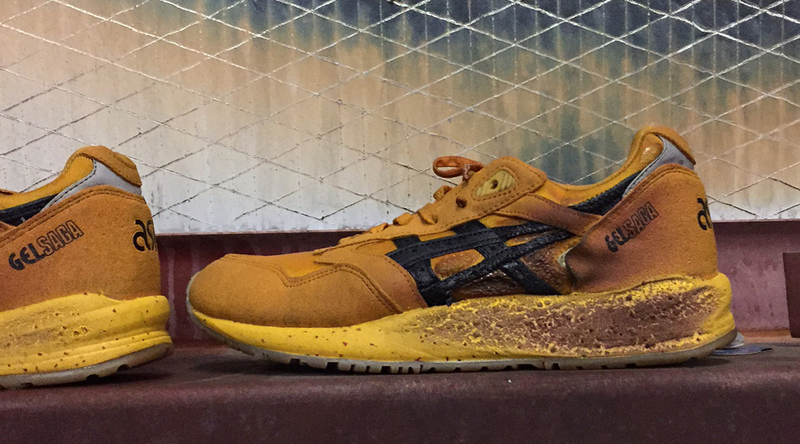 Your sneaker collection is going up in flames in front of you. Smoke is pouring over all the pairs that took you countless hours and dollars to acquire. Which ones do you try to save from destruction? Really no sneaker is worth the risk, but we’ve all probably pondered the question that speaks to our level of obsession with this hobby. While it may sound like a nightmare to see one’s collection destroyed in this way, it was a reality for Michael Malekzadeh. 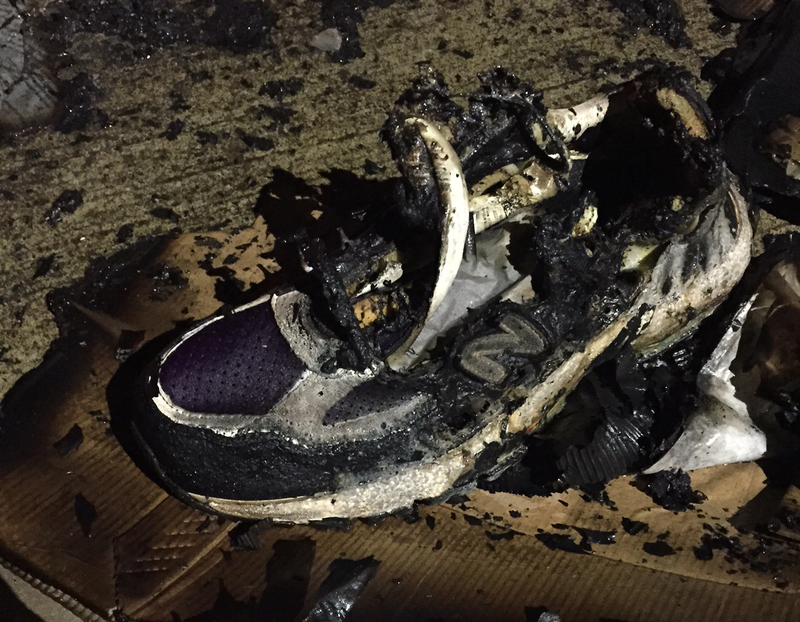 Malekzadeh, a sneaker customizer and reseller based in Eugene, Ore., who goes by ZadehKicks, made the right move by staying outside, watching in dismay as smoke poured out of his warehouse. He thought about whether his insurance would cover him. He thought about the thousands of dollars worth of sneakers that were being destroyed within. He still isn’t quite sure what started the fire. The day that it happened, he was working on customizing a pair of sneakers when the strong smell of the dye became too much to handle. He had his girlfriend fetch some candles, which he lit in the warehouse to help mask the smell of the dye. He went back to work after lighting them, only to be hit with another strange smell minutes later. This time, it was the smell of smoke, which he saw was coming from the packing area. Two cardboard boxes caught on fire, then the recycling bin caught on fire. Malekzadeh's best guess at what happened is that a stray cat that had been hanging around the area knocked the candles over, lighting the boxes on fire and setting off the chain of events. He rushed for the fire extinguisher, but his sprinkler system went off before he could pop the pin. As Malekzadeh stood outside watching the chaos, he decided that he had to do something. His entire sneaker reselling business was literally going up in smoke before his eyes. Malekzadeh ran back inside anyway, holding his breath and closing his eyes while crawling along the wall and fumbling for the button that would open the garage door and let some of the smoke out. He fumbled around, finally hit the button, and then scrambled out the door, tripping over things in the process. Malekzadeh suffered from the smoke inhalation, but didn’t sustain any serious injuries from the fire. His sneaker business suffered a massive blow. While relatively few shoes were damaged by the actual fire — only around $2,000 in inventory — many were wrecked by the water and smoke that filled the warehouse, equaling hundreds of thousands of dollars in loss. Malekzadeh got on the phone with his insurance company the next day to start the arduous process of filing a claim for the damaged sneakers. His insurance company, Liberty Mutual, sent out an appraisal company to help handle the claim, which qualified as a large loss since it was over $200,000. 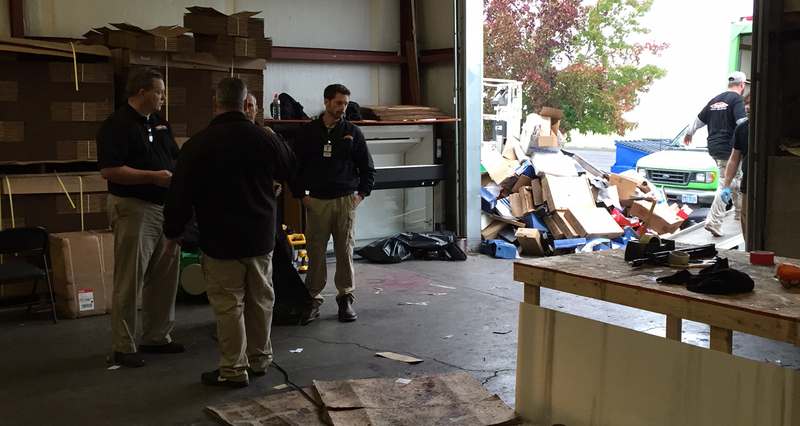 Malekzadeh and the appraisal representative sifted through the wreckage at the warehouse, meticulously taking inventory on every single item. They took inventory of everything. Every sneaker, every shelf, every piece of paper in the building. Days later, they had a spreadsheet with over 20,000 entries that represented the full inventory. Malekzadeh hired a company called Servpro to assess the damage. During the process, they had to separate the product into what was salvageable and what wasn’t. Malekzadeh also had to prove the value of every single pair in his inventory, with receipts for everything. This process took about two weeks. The insurance company would only pay out reimbursements equal to what he paid for the product, not what it was worth on the secondary market. So, on a pair of “Red October” Yeezy 2s bought from Nikestore for $250, but worth around $4,000 on the resell market, the insurance company would only pay out $250. Same goes for any retro Jordans, ancient Air Max collaborations, or other limited and valuable sneakers that were in the warehouse. The blow to the business was particularly tough as it happened in October, right before the holiday rush when people are so often spending money on high-profile sneaker releases. All of a sudden, Malekzadeh was headed into the busiest season of his year with no inventory. Luckily, he was able to get an advance from the insurance company to try to get things started again. “That was pretty important because I had no products,” Malekzadeh says. 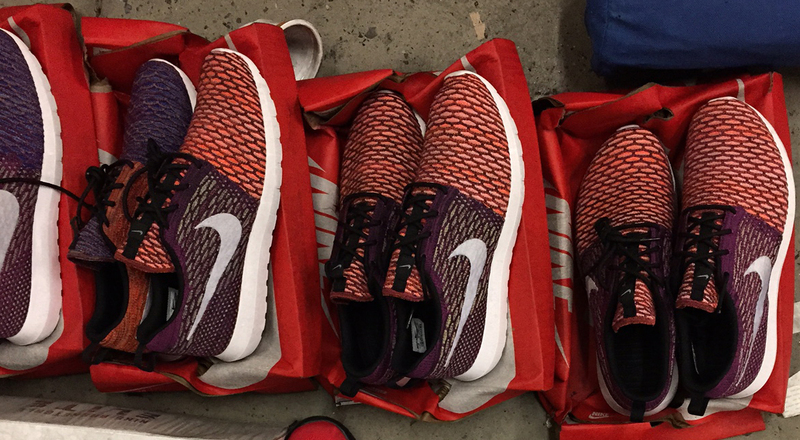 “I went from having $400,000 worth of shoes in my warehouse to nothing. I had nothing to sell, and this is how I make my living." While the advance was quick to come, the progress after that was slow. Malekzadeh says the insurance company did try to get him what he was owed, but they took their time with it. The next step for him was to wait for bids on the salvageable product, the stuff that was damaged but still sellable. Malekzadeh was to be compensated for all the unsalvageable goods that couldn’t be sold, but the insurance company would put the salvageable items up for auction. After two months there were no bids, and the claim couldn’t move forward until either Malekzadeh bought back the product or someone else did. His plan was to try and get all the salvageable product back in time for Christmas in order to earn some revenue back by selling off the sneakers at discounted prices. But the process was slow moving. He put in an offer for around $32,000. Malekzadeh sweated it out for a couple more weeks, waiting to see if his bid would be accepted. Things were getting down to the wire and he needed his product back. Three weeks after he put in the bid, the company accepted. He still had to wait for his compensation on the unsalvageable goods though — it took another seven weeks, and plenty of pestering, before it arrived. Malekzadeh managed to find a use for all the sneakers involved in the fire, whether unsalvageable or salvageable. 800 pairs were marked unsalvageable and 3,000 pairs marked salvageable. He threw away many of the unsalvageable sneakers, others he gave away on Instagram or dropped off at a local Goodwill. He’s slowly sold off the salvageable sneakers on his website through a fire sale, putting shoes up at discounted prices and letting buyers know about their damage. Months after Malekzadeh eventually settled the nightmare insurance claim, his business hadn't fully recovered. He was still trying to get back where he was in terms of product, and when he had to pause from selling sneakers other businesses moved in to the fill the void. A year later, he says he's back on track. Malekzadeh changed his business model since the fire and had his best month of sales ever this past September. His outlook on the business before he was able to reestablish himself speaks to his determination.